Cleaning the garage, found a whole stash of stuff from back when I used to flip bikes. Priced as marked.... mix and match, make a bundle and shoot me an offer. I need this stuff out of my life. Bonus if you're local, but glad to ship. The more you buy, the more I'll deal. More stuff to follow, as I did through 15 years of garage debris. Last edited by bigbossman; 07-14-18 at 09:49 AM. 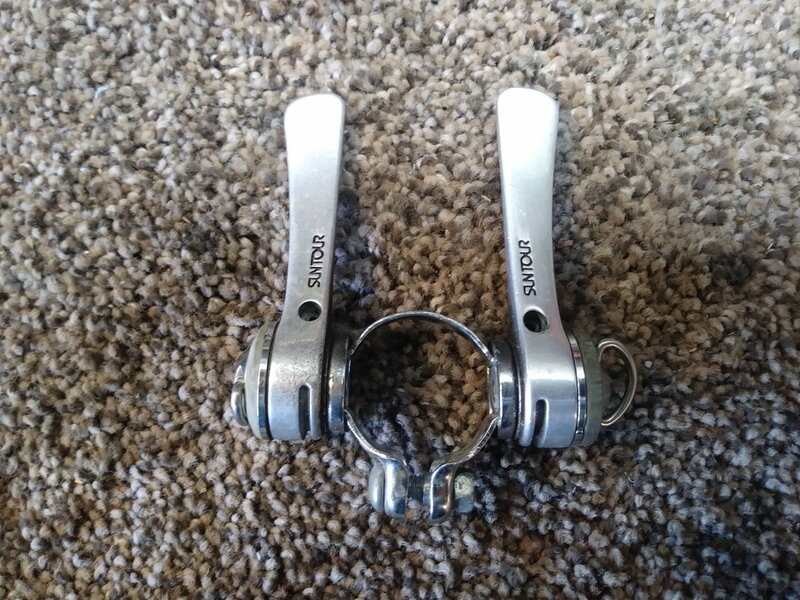 BRS levers, internal cables, scuffed but should polish up nice. $15 delivered. 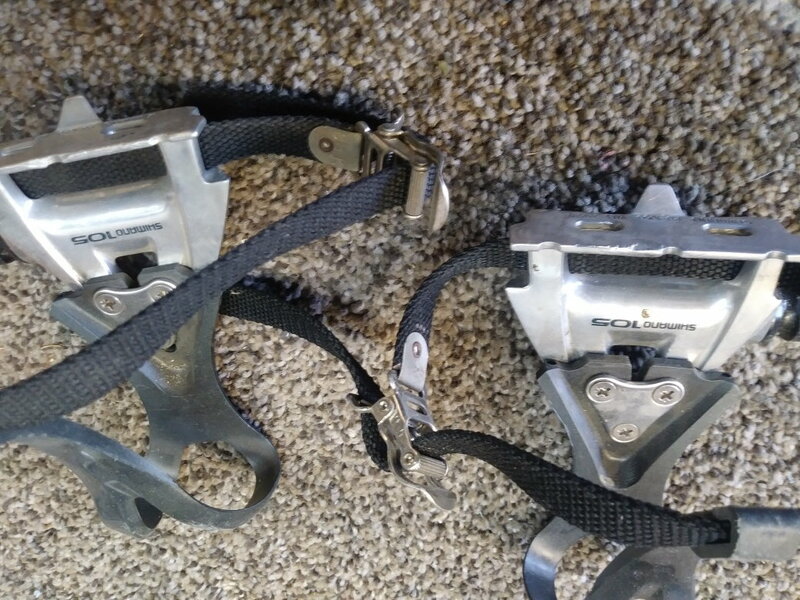 Shimano PD-1058 pedals, for Look Delta cleats. $15 delivered. Last edited by bigbossman; 07-03-18 at 12:29 AM. DiaComp and Cyclone levers, pm incoming. 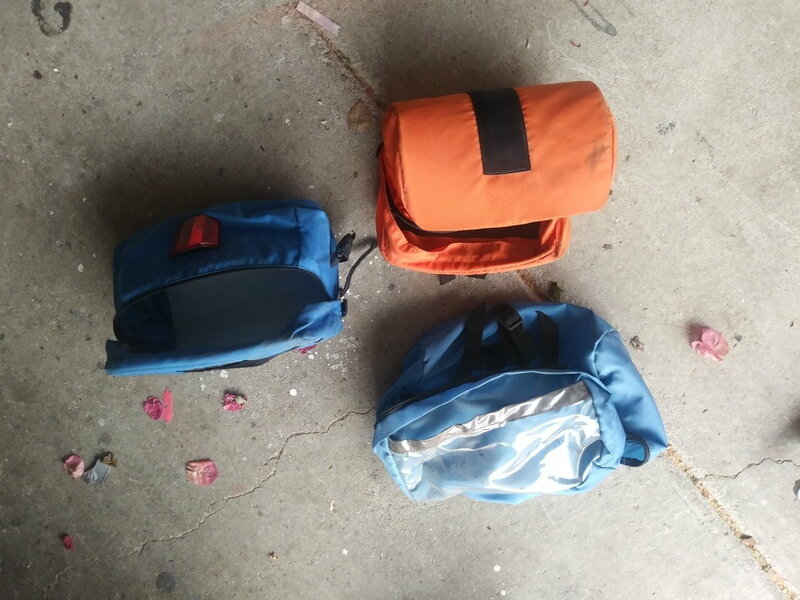 Updated, removed sold items. Pick a pile, make an offer. 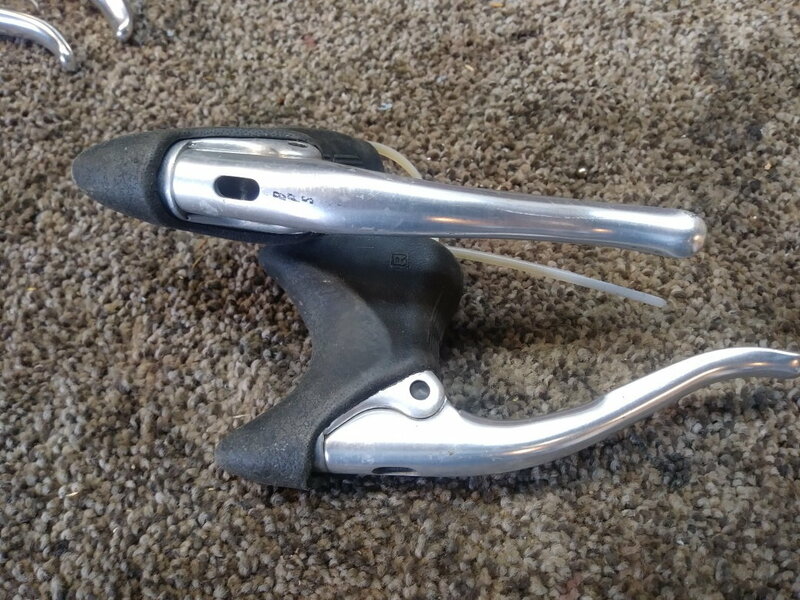 I'll take those Shimano brake levers. PM me with PPID. Price lowered on the FD's. Now $50 shipped. I want them out of here. man, I thought I had a lot of extra components. @bigbossman has a ton of stuff. That ain't nothin' ..... 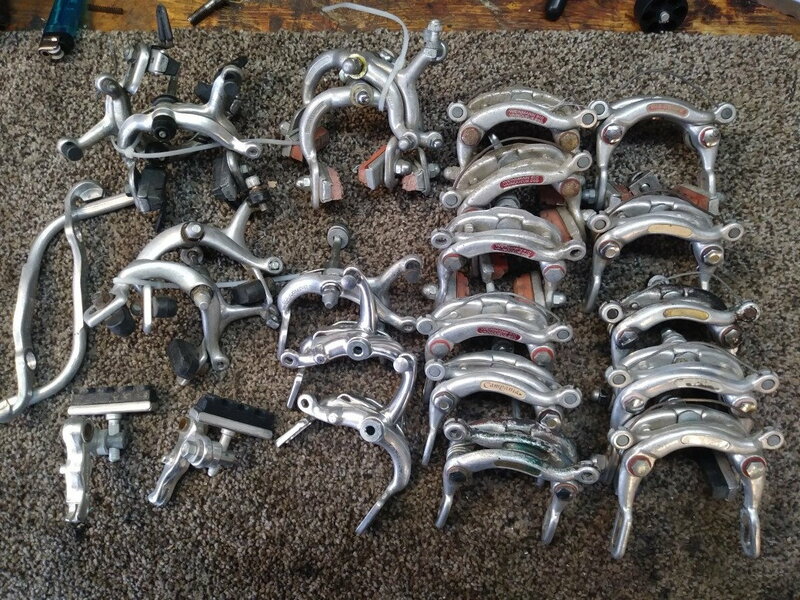 I just pulled out a bin full of cranks, a bin of brake calipers,and another full of RD's. And, I have a box full of bar tape, as well as racks and panniers. Not to mention the big container full of tubes and a drawer of various seat tubes. I'm drowning in crap, and I need to move it along. I'll be posting more as I dig it out. Feel free to PM me with specific wants...... none of it will be high end, but all of it will be serviceable. Received, and the cranks are now sold. 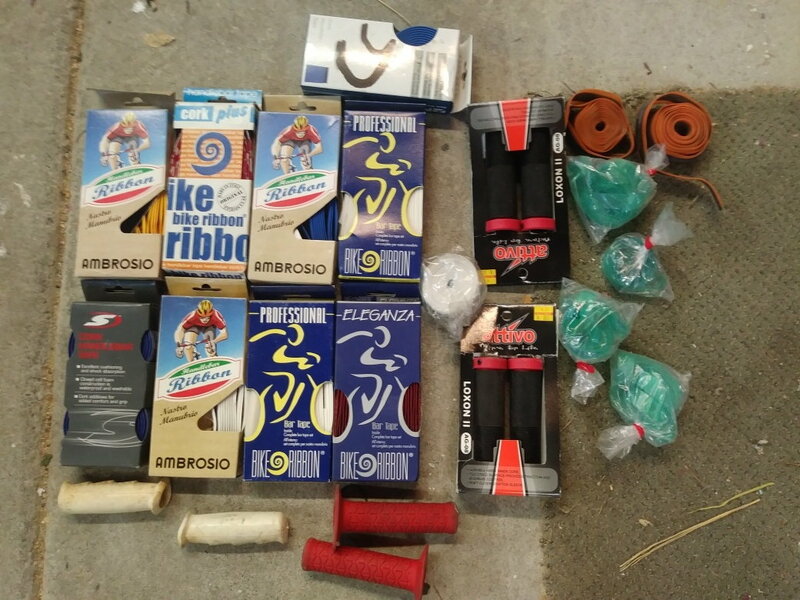 More stuff coming........ cranks and RD's, bar tape, etc. Last edited by bigbossman; 07-14-18 at 05:13 PM. Big box o' bar tape and stuff. 9 rolls of bar tape, 2 new bar grips, 2 used bar grips, 4 new packages of rim tape, and 2 "tuffy" tire liners. All of it for $60 shipped, obo. Last edited by bigbossman; 07-19-18 at 06:41 PM. Okay. I'll take the $60 derailleur package deal. Pm sent. 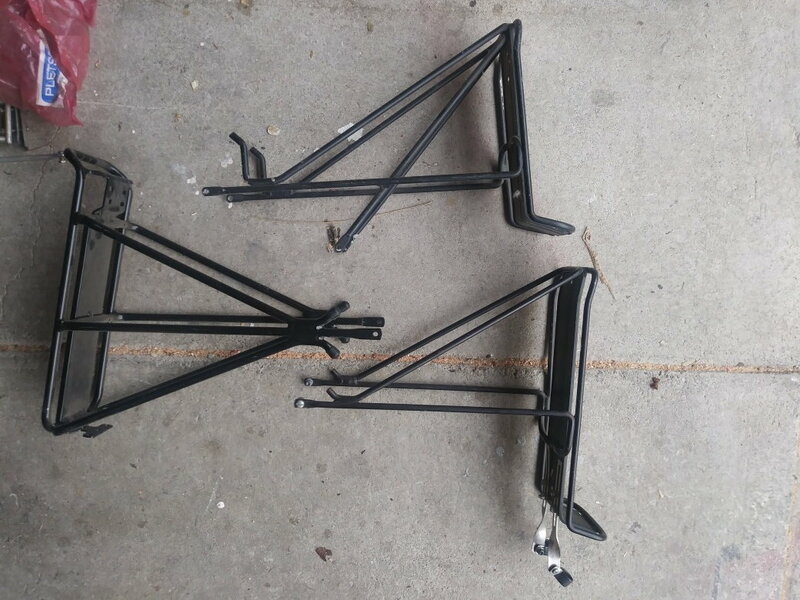 Rear racks, all used but in good shape. $50 shipped for all three. Box o' brake calipers. 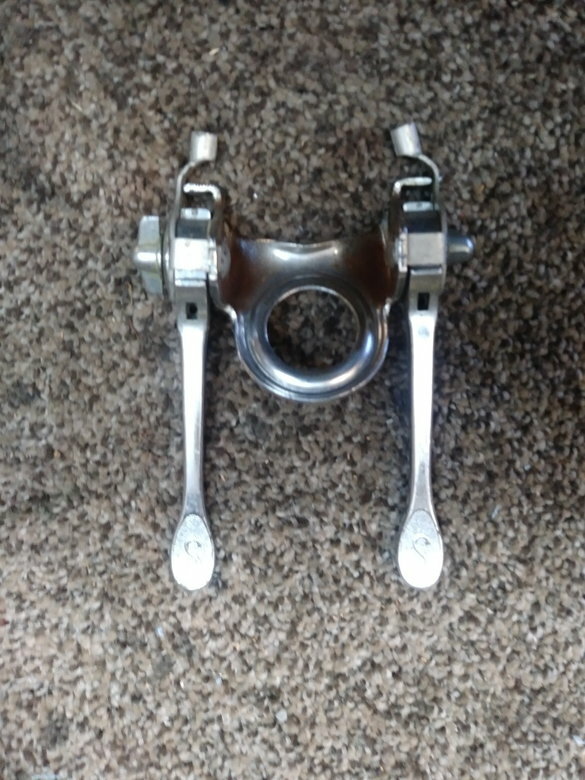 Most are center-pull, some are single pivot side pull. 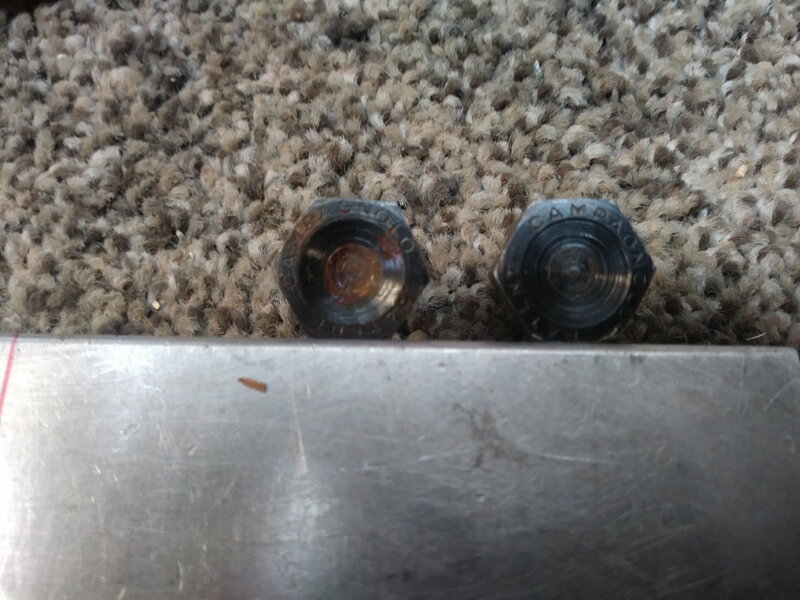 They'll need to be cleaned and polished, and some might have small bits and/or pads missing . Most are complete and functional. $55 for the pile, shipped. Last edited by bigbossman; 07-19-18 at 06:43 PM. OK, one more time before I send it off to eBay and/or scrap it. If you see anything you might want, come up with a pile and make me an offer. One way or another, I'm going to get rid of this stuff...... it might as well be to someone that can use it. Updated to remove sold items. Most of this stuff has now been put on eBay, so make an offer if you see something you like, as I'd rather sell to you guys for cheap than pay eBay their cut. What is the BCD of the SR Apex 170? If it is 110, I will take it. Sorry - you missed it. 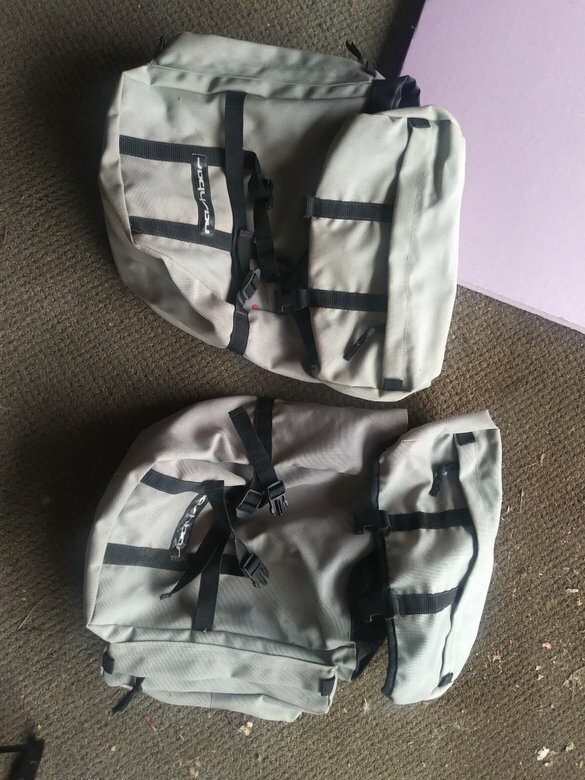 Updated..... Cannondale panniers, ALL cranks, Shimano and Diacompe cable guides, and Campagnolo gum hoods are sold. Leaving for New Mexico in two days, so if you see something you want let me know. More editing to reflect sold items. I'm going on vacation, will be gone for 10 days. 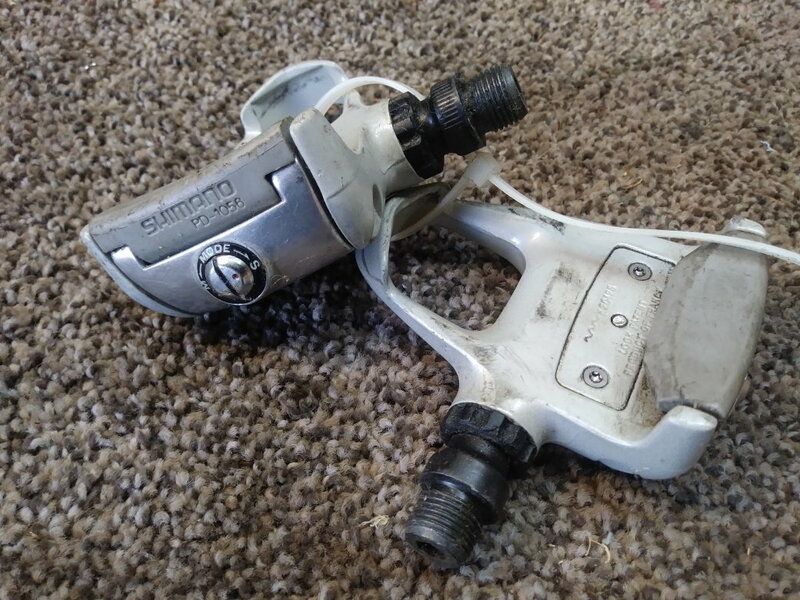 When I get back I'll create a new thread for Garage Sale Part II..... more brake levers, some seat posts, other things as I dig and they come to light.